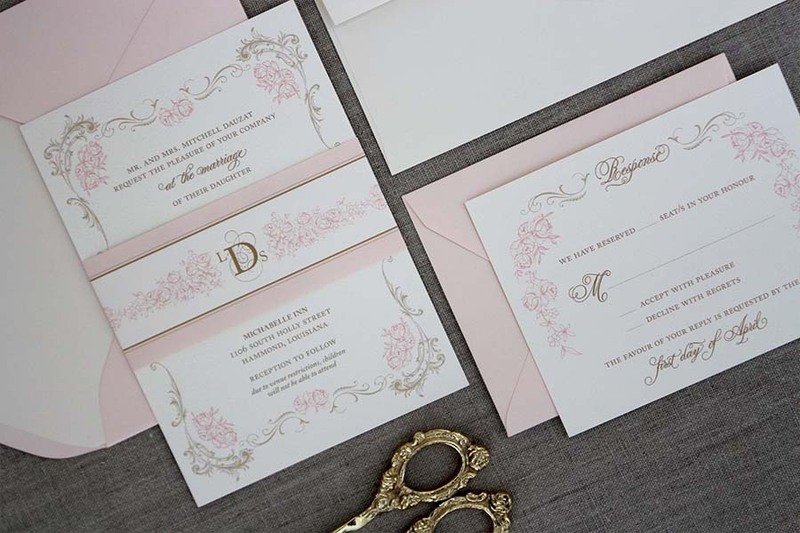 This listing is for Little Dove Design’s popular Versailles wedding invitation suite. Now printed digitally. 100 of each piece. Envelopes feature a square flap. 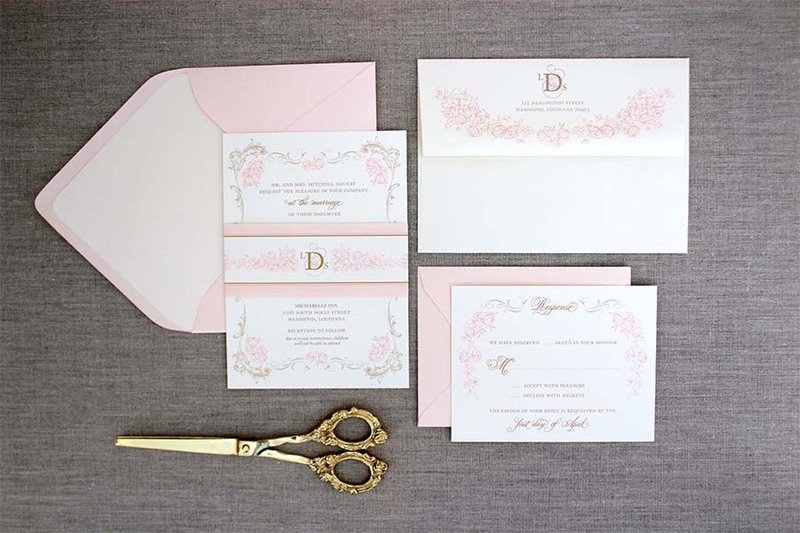 Address and design are printed on black flap in colors of your choice for invitation and on face for response envelope. 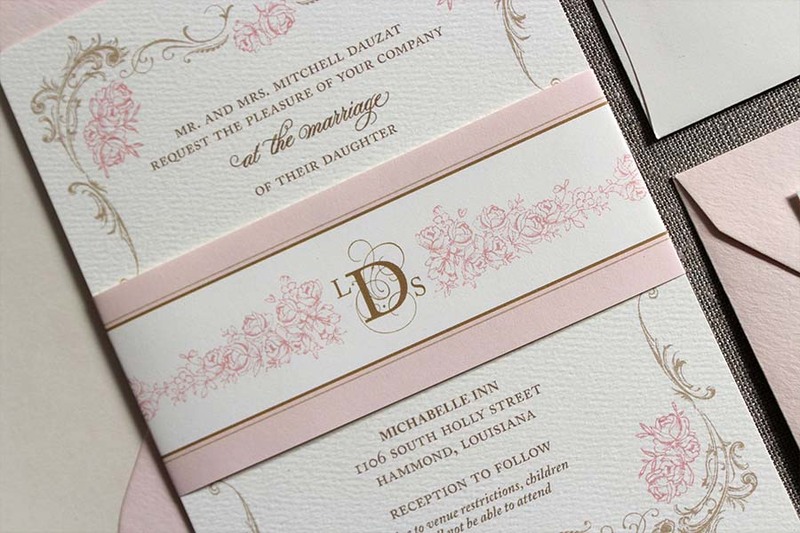 Bands may be designed with a special quote, design or wedding date. Due to the nature of digital printing and its inks, we cannot guarantee exact matches to specific colors. Please contact little dove design with any inquiries or to start your custom order.